Hard to believe it is March 24th and we're talking about snow in Middle Tennessee! 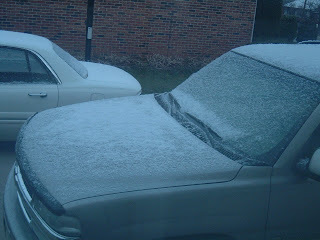 Overnight, we saw a dusting in my area. Some locations on the Plateau northeast of me saw 1 inch plus! Our forecast is for morning flurries BUT we should see temperatures near 70 by the end of the workweek! 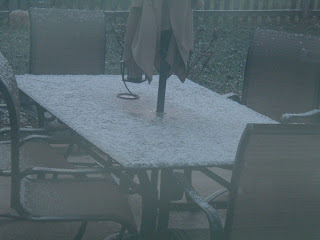 We got a little less than an inch on the ground in Sparta, below the plateau. Pretty unexpected. We had a dusting here as well Mike! We continue to have off and on Heavy Snow showers! Nice snow pics. By the way, was reading yesterday's Herald-Citizen and saw the article, "Weather volunteers mapping rain, snow and hail" about the CoCoRaHS group. Thought it was neat they they were mentioned. yes, the H-C has been great about promoting CoCoRaHS for us. Once you guys move here, we'll sign you up!!!! Daniel and snowman...definitely unexpected in these amounts! Charles...glad to hear Macon County got snow, too!